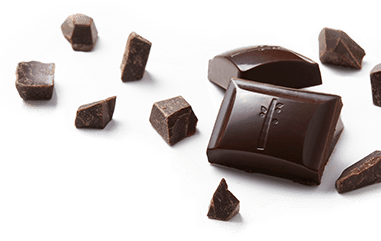 Endangered Species Chocolate (ESC), the number one ranking premium natural chocolate brand, has announced the launch of its revolutionary product ‘ESC DUOZ,’ a dual-filled, single-serve chocolate bar. Backed by customer insights, the company is confident in the bars strong positioning and unique, industry-changing patent-pending process of creation. 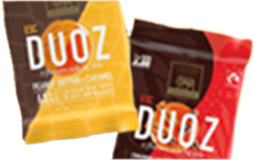 ESC DUOZ is the first of its kind to use a one-shot process to create dual, side-by-side fillings in one continuous movement, pairing ESC’s premium chocolate with quality ingredients. ESC DUOZ will launch with two flavor combinations, chosen through the company’s in-depth customer research and Bembenick’s knack for trend spotting. The first bar places caramel and peanut butter side by side, a classic pairing which evokes a nostalgic feeling. The second hosts coffee caramel and cinnamon caramel, inspired by the flavors found in an afternoon pick-me-up treat at a premium coffee house. ESC DUOZ will be available to ship to retailers in April and will be available on shelves in May. The product is being unveiled at the upcoming Natural Foods Expo West from March 7th – 9th in Anaheim, CA, those interested can get a first look by visiting the Endangered Species booth, #1626.